Today In KISStory - September 22, 1998: KISS release their 18th studio album "Psycho Circus". "Psycho Circus" features the original four members of he band back together and in full make-up (since 1979). Some pressings of the album featured a lenticular cover that alternates between a black KISS logo and the album title with pictures of a clown and the band members, while the Japan initial first pressing featured a pop-up cover which had 3 foam spring-loaded panels of a clown face and 2 others with band members faces that popped out when the doors were opened. The track "You Wanted the Best" is the only KISS song in which lead vocals are shared by the entire lineup. 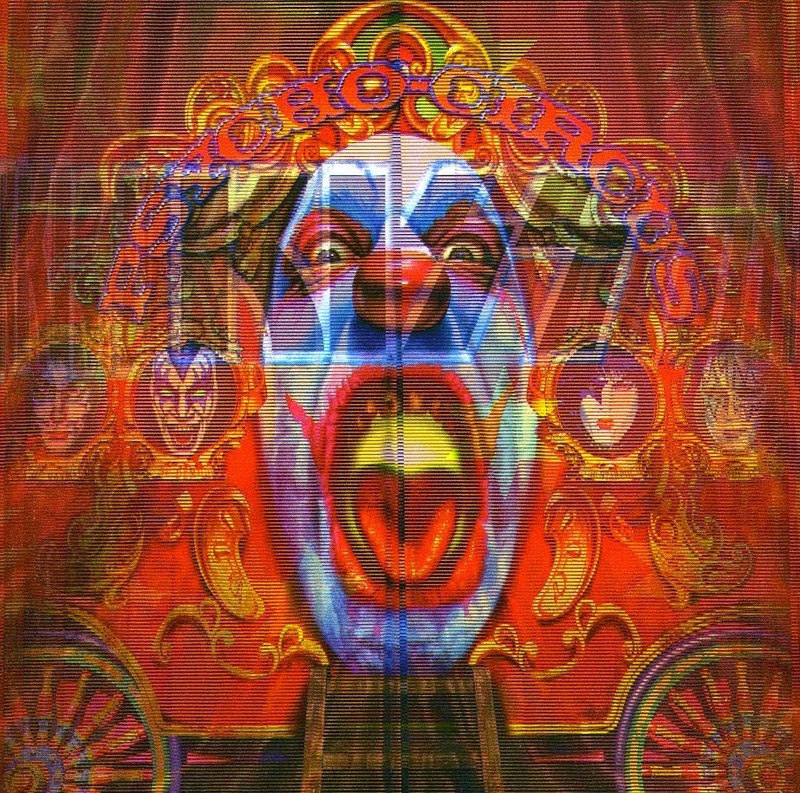 Following the highly successful 1996-1997 reunion tour, Psycho Circus was marketed as the first studio album by the band's original lineup since 1979's Dynasty (as Peter Criss did not participate on 1980's Unmasked). As with Dynasty and Unmasked, however, many of the songs were recorded by uncredited players. Guitarist Ace Frehley and drummer Peter Criss were used sparingly, with Criss only playing drums on "Into the Void." Frehley played on two songs from the album (not including vocals). In 2011 in Frehley's book No Regrets, he says that he wrote a lot of songs for the album, one of those songs being titled "Life, Liberty, and the Pursuit of Rock 'n' Roll." He mentions that the title and song were deemed very similar to the song "I Pledge Allegiance to the State of Rock 'n' Roll." "Into the Void" was originally titled "Shakin' Sharp Shooter" but Simmons and Stanley were unhappy with the lyrics and title so Simmons rewrote it. Bruce Fairbairn was brought to produce the album, and stated that he wanted to stay away from gimmicks and trends such as guest appearances, just "tried to stay true to what KISS does best and people remember them for". The album was mostly recorded at Los Angeles' A&M Studios and One on One Recording Studios, with the performances being first recorded with analogue equipment, and then digitized for mixing and overdubs. Afterwards it was mixed by Mick Guzauski in his New York studio, and mastered by Fairbarn and Kiss' long-time partner George Marino at Sterling Sound NY. Fairbairn complimented the band for being collaborative, declaring that "it had the potential to be a nightmare because they're all disparate and strong characters, musically and as people." "Psycho Circus" debuted at #3 on the Billboard 200, selling 110,000 copies in its first week of release, and was certified Gold by the RIAA on October 22, 1998. Rolling Stone said about the album, "Psycho Circus" is an album of platform-stomping rhythms, roller-coaster guitar riffs and sing-along choruses - is far more respectable than any of the awkward flops from the no-makeup years." Entertainment Weekly (9/25/98, p. 106) said, "This is rock with a capital R, captured in all its cheesy glory... This new effort proves that in the circus of hard-rock dinosaurs, KISS remains its Barnum & Bailey."